Grabbing our attention in 2013, when they made the ScreenDaily 2013 ‘UK Stars of Tomorrow’ list, along with recent DN alumni Rob Savage, The Brothers Lynch are doing everything they can to justify their place in that acclaimed selection. From split-screen narratives to Film4 competition awards, the sibling directorial duo have steadily climbed the rungs of the industry, developing their early music video work into a style which has now seen them land backing for a series of productions due for release in the near future. With a black comedy short and a non-linear sci-fi feature next on the production line, the brothers decided that wasn’t enough to be working on and set out to create an animated music video for Canadian-born, London-based composer and pianist Carly Paradis. 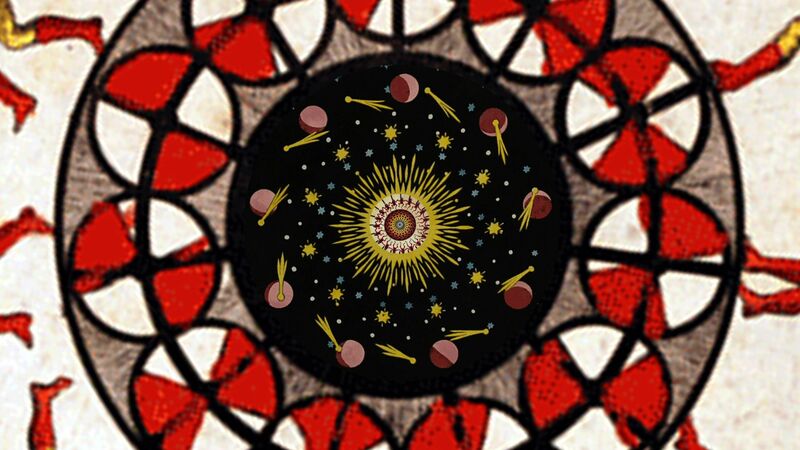 I read an article on io9.com last year about phenakistoscopes and how they were kind of Victorian animated gifs. The story got picked up by a load of other blogs around the same time. I’d been aware of zoetropes for years and myself and David (my brother and co-director) had been trying to come up with a concept for a music video that could use a zoetrope in a unique way, but had never settled on anything. Then when we saw the phenakistoscopes we immediately thought there was something so mesmerising about them and quickly settled on an infinite zoom approach to the video. We’d long been massive fans of the video for Seven Nation Army by the White Stripes and how hypnotic the infinite zoom was and it’s a technique we’d been interested in using on a project and it just felt right for this one. 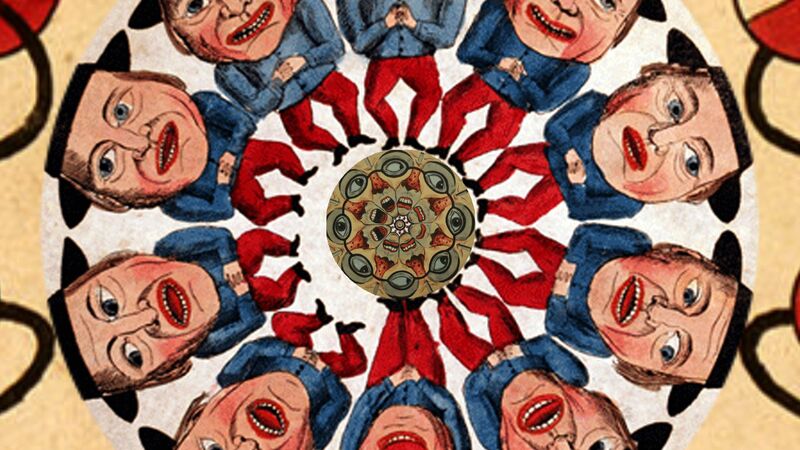 So once the idea was settled upon, we set about scouring the net for Victorian phenakistoscope discs. Because of them being from the 19th century they are in the public domain so can be used by anyone for any project. Once we felt we had enough to work with we started testing out our concept. Each disc has to be spun at a different speed to achieve the persistence of vision effect, so after a bit of trial and error, we worked out how many degrees each disc had to rotate every frame and started putting it together. This was all done in Adobe After Effects. Once the rotations were correct we then took each disc and masked out the centre section. Sometimes this was just a simple circle, sometimes it was more tailored around the elements on the discs. Then we increased the size of each disc to give the impression it was coming towards the screen. The video was time consuming but we feel it was time well spent. At first, the discs were just thrown in a random order to test out the concept but once we tried it with Carly’s track we started to manipulate it to bring elements to different positions to reflect what was happening in the track (e.g. having the boxers punch when the beat comes back in). Carly had scored our past two short films and so we were keen to repay the favour with this music video. When we sent the initial video over to her she responded to it fantastically and only really had one note, which was to do something to reflect the bridge section, so we duplicated some of the faces that were opening their mouths and pulled it into this section to emphasise the vocals. We finished a new short film called Old Habits a few months back and are currently submitting it to festivals with a view to releasing it online soon. We managed to get David Warner (Tron, Time Bandits, Titanic) and Ronald Pickup (The Best Exotic Marigold Hotel, Prince of Persia) to be our leads and it was incredible to work with two screen legends. It’s a black comedy thriller about two elderly estranged brothers who are at a funeral parlour to pay their respects to their recently deceased crime boss father, whilst trying to mend their differences… even if it kills them. We’re also hoping to shoot our debut feature film towards the end of this year. It’s a very different beast to our previous work in that it’s a non-linear sci-fi thriller.